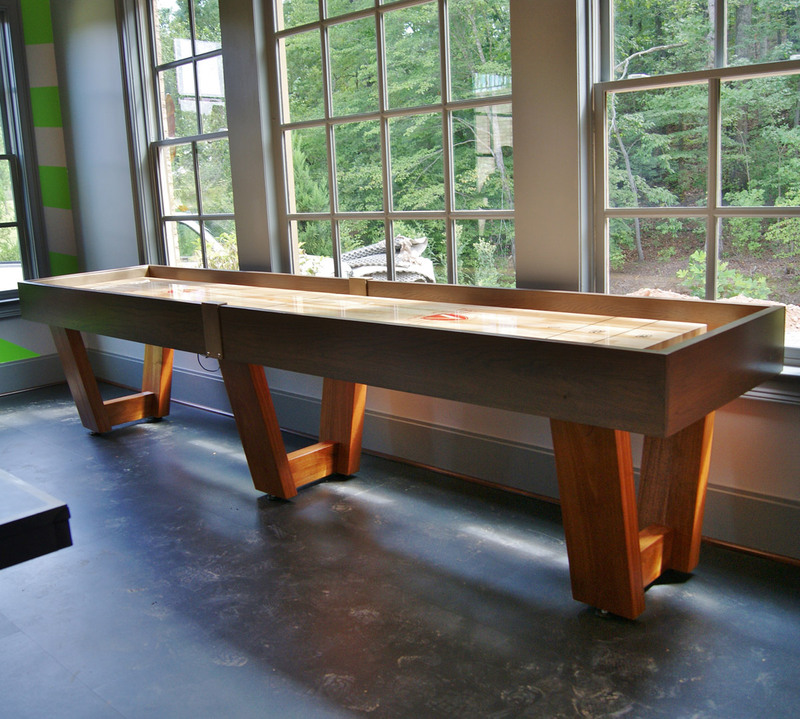 The Monaco shuffleboard Table is a cooperative effort between the designer, engineer and lead craftsman at Venture Games. To create a totally unique shuffleboard table. Those legs! That�s where it all started and the Monaco was created from there. 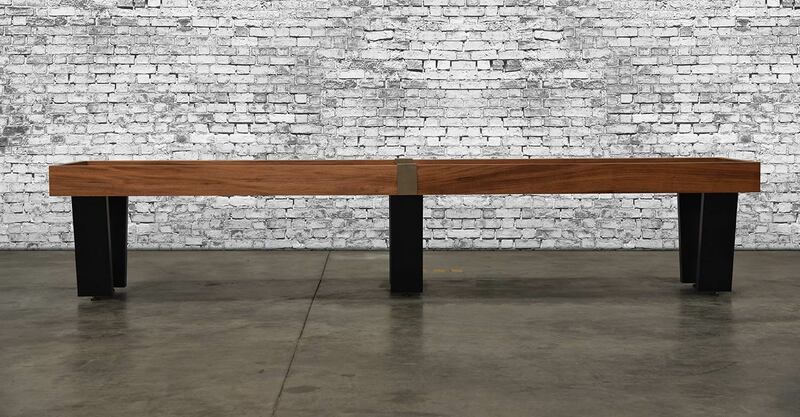 The Monaco is built of solid 6/4 white oak rails, hand rubbed in Venture�s custom mixed grey stain. 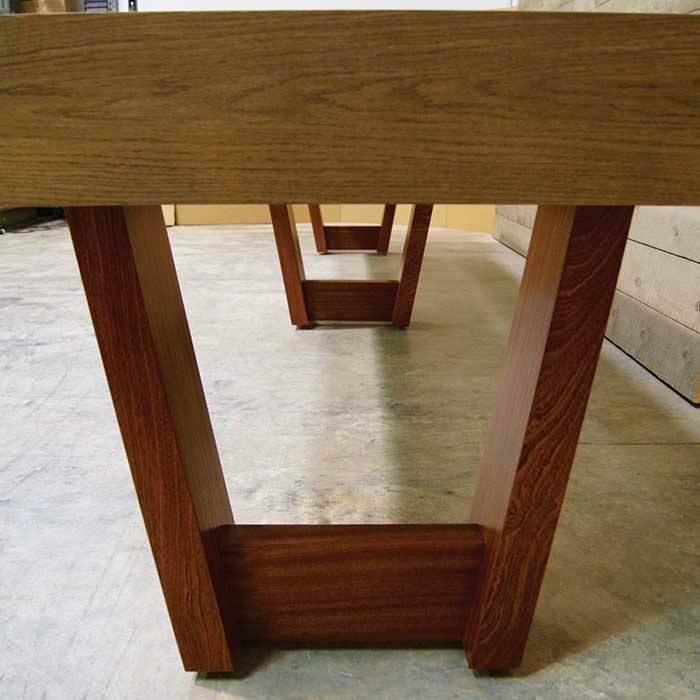 The V taper legs are made of natural, solid mahogany. The Center connector is leather and is flawlessly finished with nickel hardware. 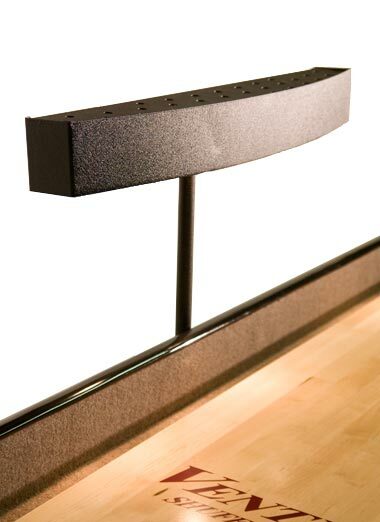 The gutters and end rails are upholstered with leather to deaden the sound of the weights in play. 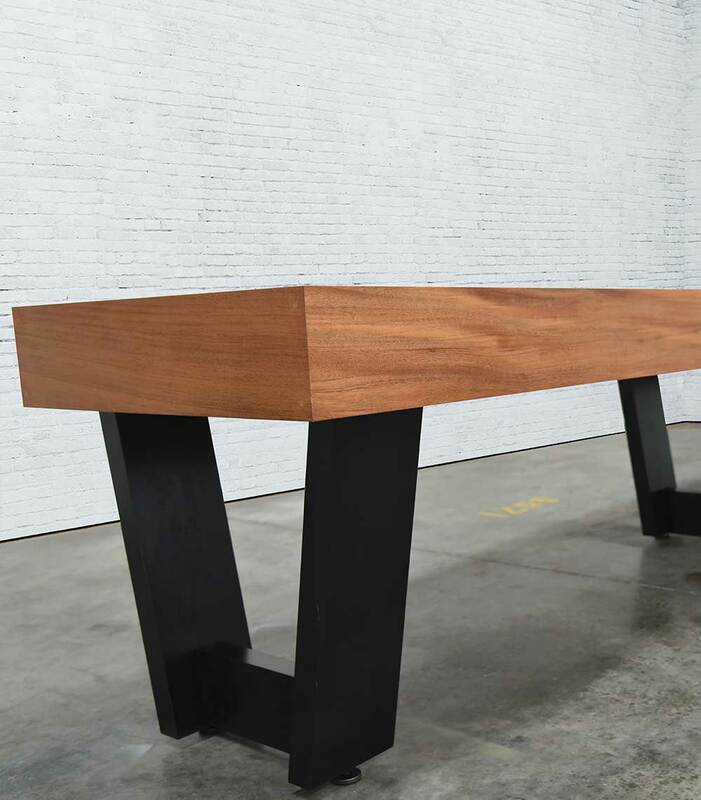 The Monaco shuffleboard Table can be built in sizes from 9� -22� and can be made in any standard Venture stain or custom stain of your choosing. Give your Venture table even more distinction with a custom logo! Your table can feature one large logo in the center of the playfield or two smaller logos on either end of the playfield, allowing you to add the name or logo of your business. 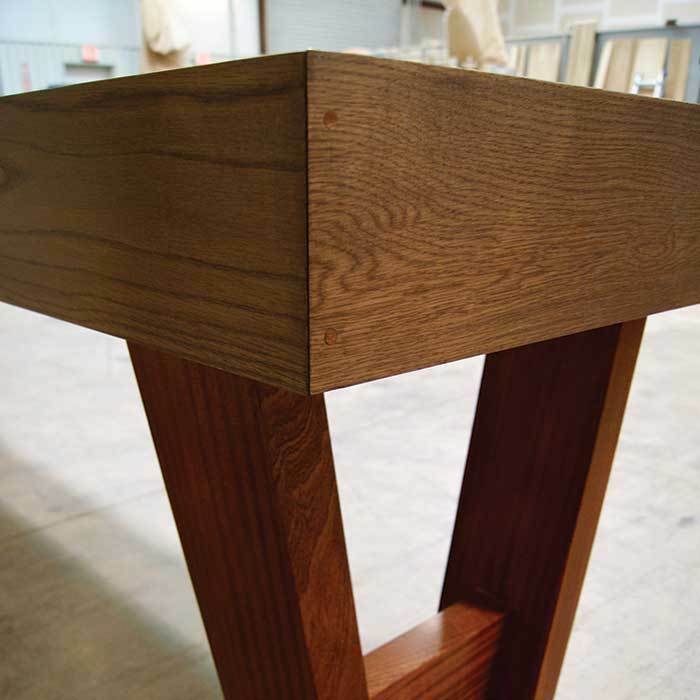 If this table is for your home, you can add things like your family crest or favorite symbol. These logos are available in up to two colors. The playfield is made from hard rock, domestic maple that is kiln dried to a moisture content of between 5% - 6.5%. It is then finished with RF glue (in one side wet, out the other cured). It is then finished with a proprietary synthetic lacquer finish that is previously cured so it is a dry finish vs. wet. 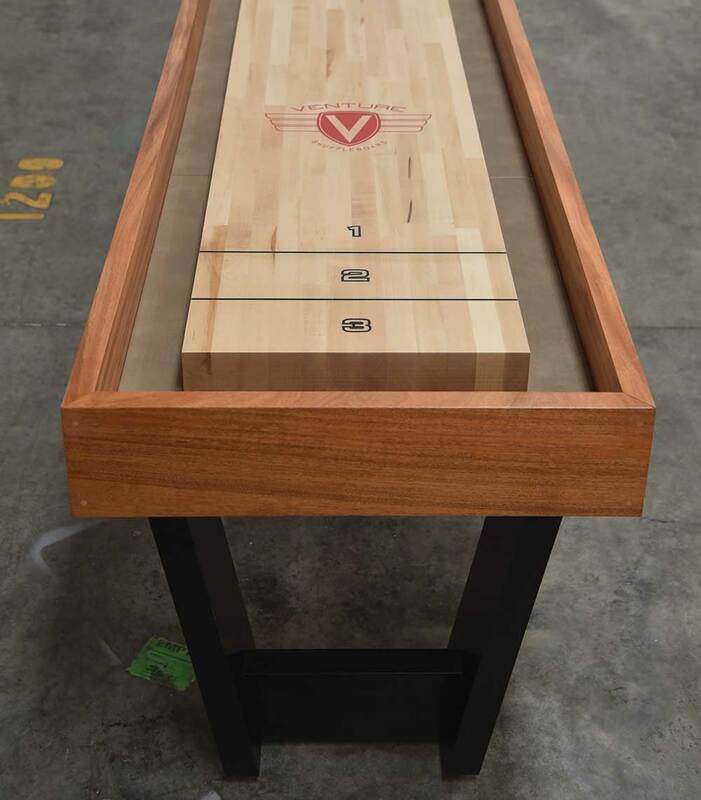 Venture offers a lifetime manufacturer warranty on all of Venture brand shuffleboard table playing fields against warping, and finish issues. Never waste time arguing about scores again. 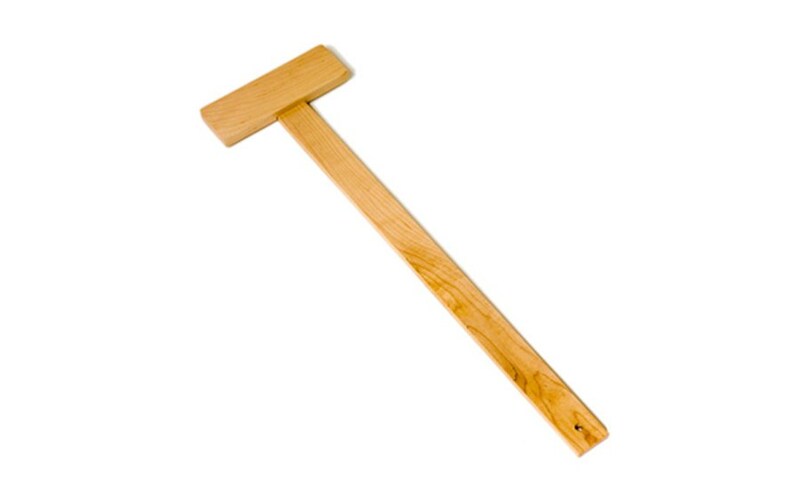 Venture's Hard Rock Maple T-Square allows you to accurately measure scoring distances. Never worry about playing in low light again. 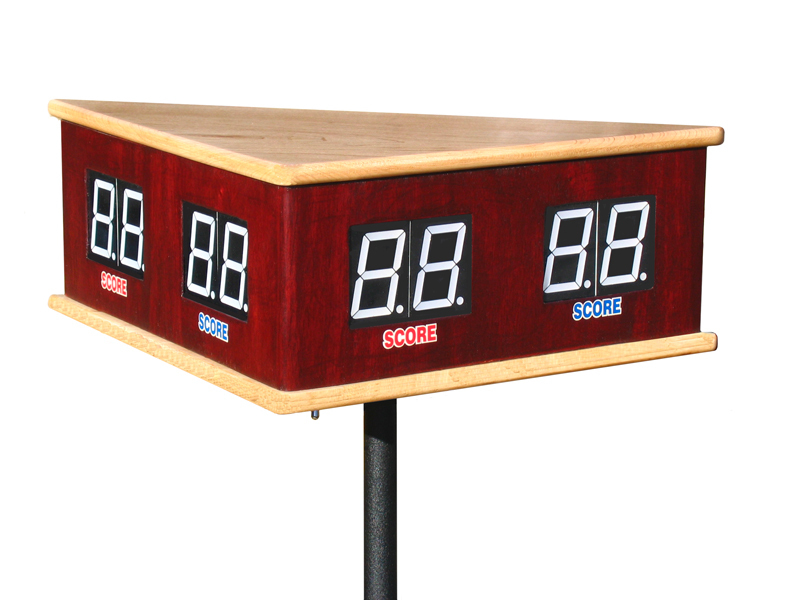 Adding lights to your shuffleboard table ensures you'll be able to play with accuracy no matter what setting your in. 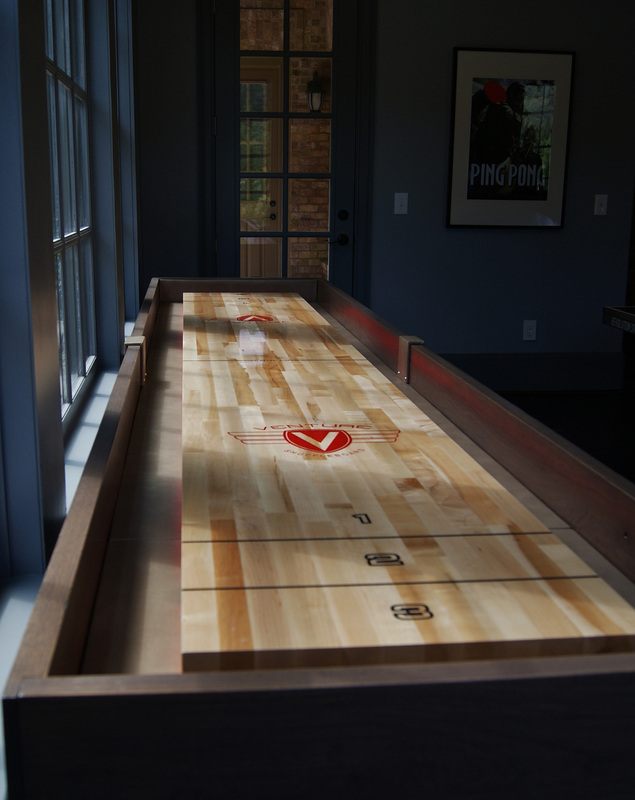 Venture Shuffleboard guarantees its shuffleboard tables against defects in material or workmanship, excluding normal wear. Venture Shuffleboard, at its discretion, will either repair or replace any parts that are deemed to be defective. This warranty is valid from the initial date of purchase and is subject to the terms below: 1-year warranty for the Cradle and Legs against any manufacturer defects. 60-day warranty for the electronic score unit including wires, lights, and buttons. Warranty for the playfield and finish against any manufacturer defects. Please note that wood has characteristics, which are outside the control of the manufacturer. Wood is a natural material and reacts to environmental conditions including, but not limited to, temperature and humidity. Wood can shrink and swell in response to the surrounding environment. In order to ensure stability of the wood, it is important that the shuffleboard be maintained in an environment with steady humidity and climatic adjusters installed properly. Natural variations of color and grain patterns within the playfield are not considered a manufacturing defect. 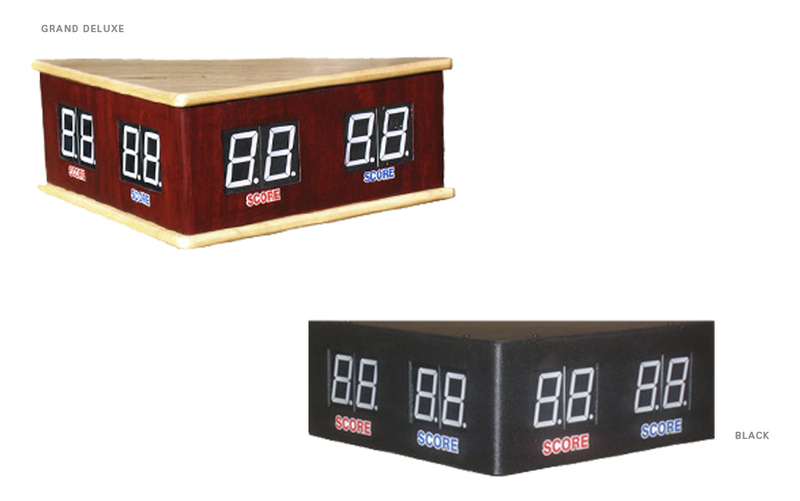 Venture Shuffleboard will replace the defective part(s) and is not required to replace the complete shuffleboard. Parts requested for inspection by Venture Shuffleboard shall be returned by the customer, prepaid, to Venture Shuffleboard. A Return Authorization (RA) number must be assigned to all return shipments. Shipments delivered to Venture Shuffleboard without an RA number will be refused and all associated fees will be the responsibility of the customer. If Venture Shuffleboard determines the part(s) to be defective, Venture Shuffleboard will repair and/or replace the part(s). Repairs or replacement of any defective parts fulfills Venture Shuffleboard's obligations related to the shuffleboard. This Warranty only applies to the initial purchaser of the shuffleboard and is non-transferable. 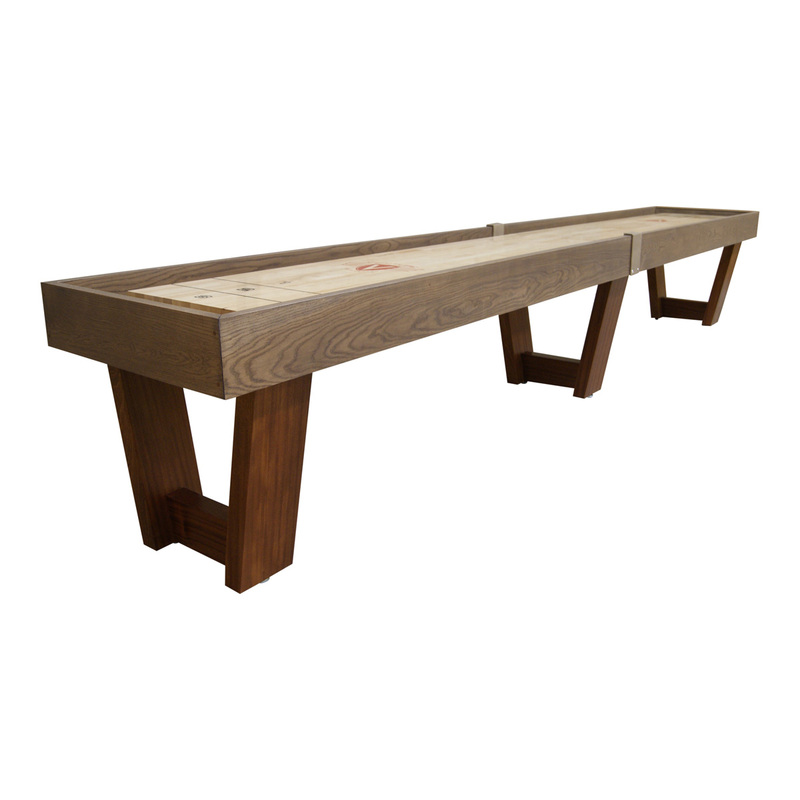 Initial purchase must be made from Venture Shuffleboard or any of our Authorized Dealers. 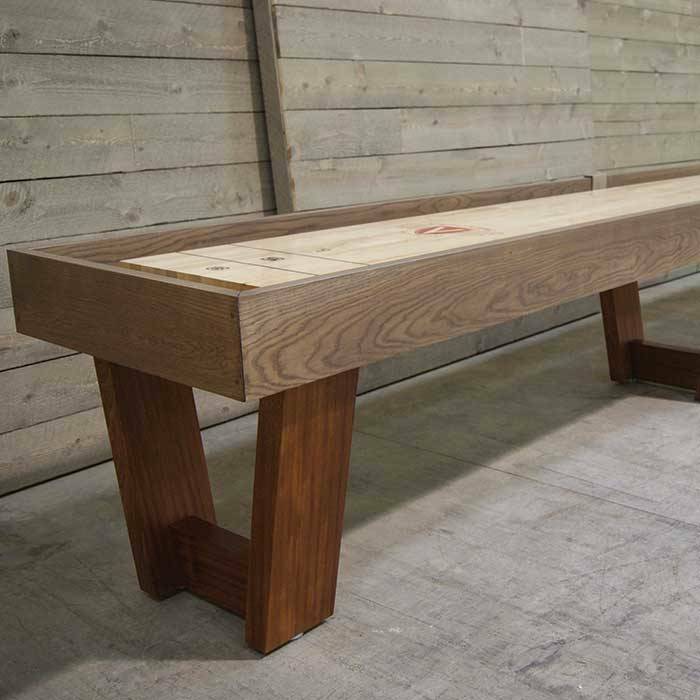 Any claim must be made through Venture Shuffleboard or one of our Authorized Dealers. This warranty does not cover normal wear and tear or any items that have been altered, misused, neglected, improperly maintained, or accidentally damaged. This warranty does not cover any damage caused in the installation process. This includes shipping, unpacking, and installing of the shuffleboard. The owner is responsible for installation and costs to remove or replace the warranted part. Local furniture installers will deliver, install, level your table, and remove debris. This option is ideal for those who may not have the means to move and install large and heavy items. Standard In-Home Installation is a worry-free way to have your new table installed.